A survivor of locked-in syndrome, who was told she would never walk, talk or breathe again unaided, has written a book about her experiences. Inspirational Leah Batchelor's book - Believe - reveals how she was confined to a hospital bed able to move anything but her eyelids. 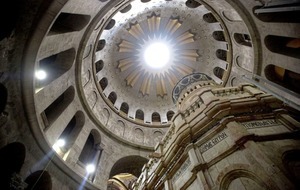 She felt flickers of movement returning and prayed to God for more. Five years ago, on the eve of her final degree exams, the 21-year-old from Dundonald, Co Down, was taking part in a charity bag pack in a supermarket when she suffered a stroke so rare that it affects one in 10 million people. Within hours she was on life support in the Royal Victoria Hospital in Belfast and her family were told her chances of survival were slim. Leah had experienced such an extreme brain-stem stroke that she developed a condition whereby her entire body was paralysed - yet she was conscious and aware of everything around her. She could move only her eyelids. 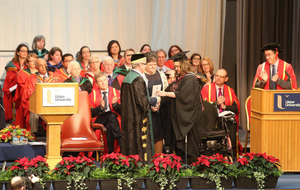 Doctors warned that the once-happy-go-lucky student might never again walk, talk, eat or breathe unaided. At one point, she gave permission with a blink to have her life support turned off in the event of her suffering another stroke. Five years on she has graduated from university, passed her driving test and is now a published author. 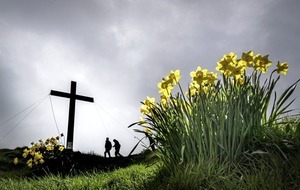 A parishioner at St Michael's Parish Church, Belfast, Leah admitted that her faith in God was tested in the early days of her illness. 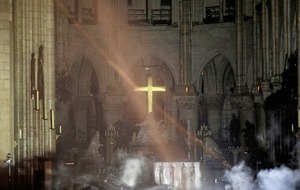 "I did very early on question God, but I was so scared that I soon forgave Him and turned back to Him," she said. "As I couldn't talk or move, He was the only one who knew what I was feeling, thinking. At the time I could only talk to Him." Believe chronicles Leah's life since that fateful day in 2011. "It was very hard to write, but I started writing when I was still in hospital as at the time I'd no speech and it was my way of understanding what I'd been through," she said. "I edited these notes to create the book, but the first few chapters were really hard to write as they brought back so many unhappy memories, I could only edit a small section of this at any one time. I've been writing it for the last four years so I was also writing as events happened." 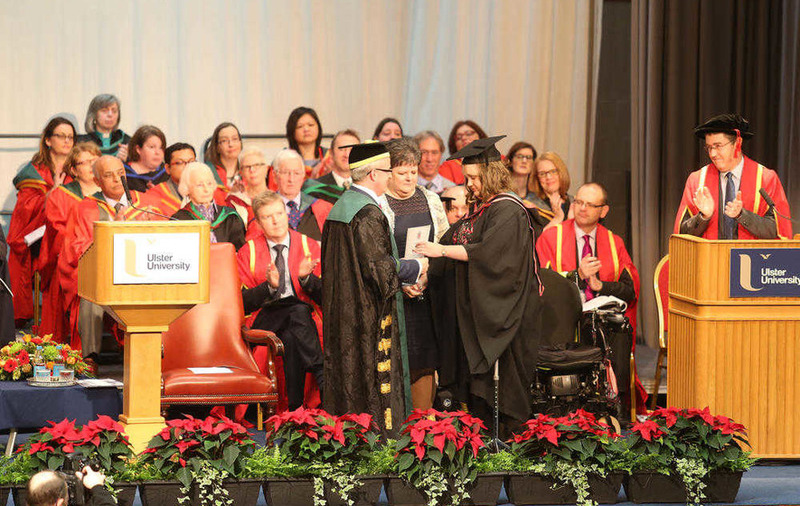 Leah graduated from Ulster University with a 2:1 in graphic design last December, and at the ceremony amazed everyone with her courageous determination to walk on the stage to pick up her certificate. Since graduating, she has been doing freelance work and is on the lookout for a permanent part-time job. She is a Girls' Brigade leader in St Mary's, Ballybeen, and has been helping to develop the Lower Shankill brand COILS (Church of Ireland Lower Shankill). 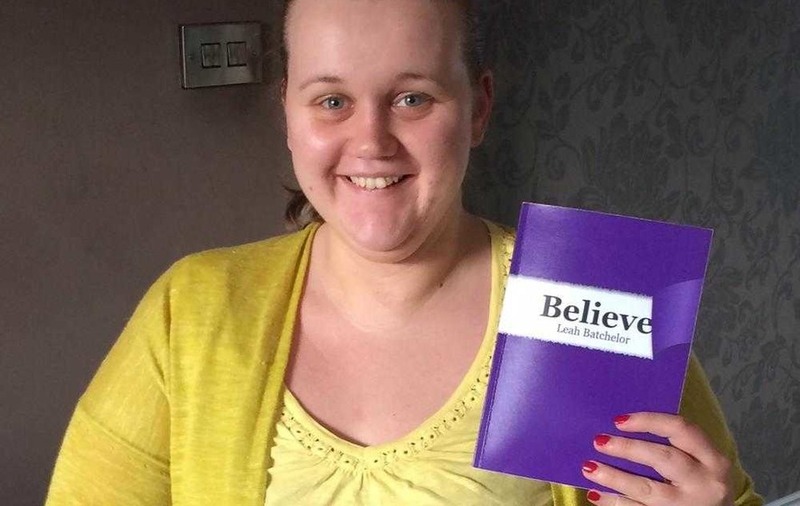 A delighted Leah took delivery her first batch of copies of Believe this month. "My hope for the book is to inspire others going through a difficult time not to give up," she said. "Also I want doctors and nurses to read it to hear what it's really like so they can hopefully have a better understanding of how to care for patients with this syndrome." :: Anyone wishing to order a copy of Believe (£7) can contact Leah at believe.leah@gmail.com.